DiRT 4 takes a different route with its racing gameplay compared to the second and third games in the series. It is not playful and energetic; it’s gruelling, challenging, rewarding, punishing, and addicting. It shares these traits with DiRT Rally because it also focuses heavily on the rally discipline. Where DIRT 4 differs is with its procedurally generated rally stages, customisable difficulty, multiplayer offerings, and career progression. Aside from a few issues with supplementary modes, DiRT 4 is an exquisite rally simulation with near unlimited value. It might actually be a better rally game than DiRT Rally—that's a turn that wasn't on the pacenotes. DIRT 4 starts by asking an important question: are you here for fun, as a gamer, or are you here for a challenge, via a simulation? Before you commit to one answer, it's a good idea to complete the Academy tutorials that take place in an abandoned industrial estate containing warehouses and shipping containers. This location sounds like DiRT 3's Gymkhana zone, but thoughts of those dizzying donuts will quickly fade. These tutorials are serious business. They plainly teach drivers about straight-line braking, weight transfer, traction control, handbrake turns, and the various subtleties of the different drivetrains. From the get-go, this racing game wants to be taken seriously, which encourages the simulation style of handling. The difference between the two handling presets is not transparent but most obvious when it comes to traction and consistency; simulation requires a lot more work to keep vehicles on the road. Whichever handling type you choose, the career consists of three disciplines: Rally (modern-day and historic), Landrush and Rallycross. Despite the breakdown, the rally component probably makes up around 80% of the career due to stage length and the number of events. You will need to unlock licenses for subsequent championships by finishing events. The career is long (approximately 50 hours) but the progression is excellent. Completing events will reward players with credits and reputation. Vehicles can be purchased and will provide greater event income than driving loaners. Money is also used to improve car reliability, purchase facilities (like more garage space), and hire engineers that service vehicles between stages. If you are savvy enough, make a deal with sponsors and increase their payouts by completing specific objectives during events. It's basically a lightweight team management simulator. Delving into this off-road aspect of the career is hardly essential, apart from having engineers that can repair vehicle damage, but it's nice to be more involved with a fictional racing world. 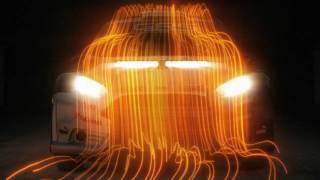 Rally is not the name of the game, but it probably should have been; there is a lot of rally driving in DiRT 4. It takes drivers across the world, from the red-clay dirt roads in Australia to the winding tarmac in Spain, to complete in long unidirectional stages. The locations of Wales and Sweden make a return, but the great news is that none of the stages are copied from the previous games. There's an important reason for this—all the tracks are procedurally generated by a mysterious algorithm. This is perfect for rally because you are meant to be a good adaptive driver that listens to the co-driver, not a memorizer of routes. The random stages are, for the most part, an excellent technical achievement. Corners, straights, crests, junctions, hairpins, dips, and everything in between are jumbled together to create each stage. It is all done seamlessly and quickly. You can play forever and probably never see the same stage twice. But you will see the same corner many times. After a few hours in one location, the repeated pieces become fairly obvious, especially those that consist of multiple corners strung together. This is not a bad thing; familiarity helps the learning process as you nail the tight corners. The game strives to provide visual diversity by adding or removing buildings, advertising, trees, railings, posts, emergency vehicles, and spectators. Some stages lacked variety though, with numerous moments of déjà vu because of repeated track sections. To increase stage difficulty, the narrower and bumpier track sections are favoured by the algorithm, but it also mixes contrasting track pieces: joining straights with tight corners, exploiting track camber based on approach, and using changes in elevation to hide upcoming corners. The best parts of the random tracks are the many subtle changes, like rocks and logs placed roadside to cripple straying vehicles, fences that can hold drivers hostage off the road, and banks that obscure corners and prevent cutting. Time of day also plays a role, as long shadows may hinder clear identification of the road surface and night stages limit view distance to the depth of the headlight beam. Weather effects are basic, although rain makes the tarmac slippery and fog restricts vision heavily. The algorithm involved in putting these jumbled stages together is impressive, and with a few more track pieces and extra visual disparity, it would be nearly perfect. Rally is a marathon, and this is adequately represented across the long and demanding career. Stage length can be anywhere from 3-10 minutes long, but you will need to complete multiple stages to win an event. Any vehicle damage accrued will transfer to the next stage and it can only be repaired if there is a service area. During one night stage, the headlights began to flicker like something out of a horror movie. Trying to navigate a narrow dirt track in a pitch-black forest was scary. Stopping to fix the lights would have incurred at 10 second penalty, so I decided to endure the random blackouts. I have no idea how those tree-shaped dents ended up in the chassis. Other mechanical problems included grinding brakes, stalls, cracked windshields, co-driver radio issues, rattling gearboxes, and degrading engines. Flat tires were troublesome but rare and mostly the result of poor driving. There was even a squirting sound coming from the front of the vehicle that had a more adverse effect on my wellbeing than the vehicle itself. Most issues have only a minor or short-lived impact, but it all depends on how often you confuse left with right. Later championships in the career pushed reliability further with much longer stages and more of them between service areas. The biggest problems will arise if you forget to renew engineer contracts—easily done when playing short championships. It's best not to crash and keep vehicles in top working condition, should you wish to post good times. The entire career is not just rally driving; there are also Rallycross and Landrush events that involve other AI drivers. 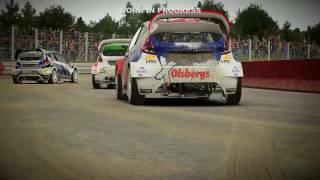 Rallycross is closed circuit racing over mixed surfaces. It's incredibly bland, even with the optional joker lap that all drivers must take once per race. You can ram other drivers endlessly, but corner cutting may force an additional joker or time penalty. Most of the boring tracks are copied from DiRT Rally, although now with even less welcoming surfaces. The last few championships in Rallycross force you to race 28 laps on the same track over many qualifying heats, which is stretched far too thin and reminiscent of GRID Autosport’s career mode. 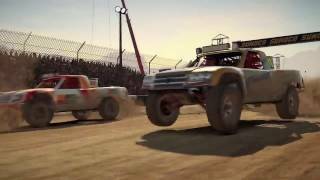 Landrush has the least content out of the three disciplines, and it involves driving low-traction trucks and buggies around dirt tracks. It is probably the hardest discipline because the dirt surfaces, combined with the sensitive vehicle handling, making staying on track a losing battle. With trucks, the vehicle's weight is used to drag it around corners and then you wait for the traction to kick in, but you might be waiting a long time. The difference between the handling types is most obvious in this discipline, as trucks will grab much faster on the gamer setting and keep sliding into the next postcode in simulation. Buggies and Crosskarts were even harder to control. Wheels on the buggies are exposed, so nearby drivers can veer slightly and cause you to rise into the air like a gazelle doing a twisting jump to get away from a cheetah. Crosskarts are small and prone to spinning out from the slightest turn. All vehicles in Landrush require quite a bit of practice; it’s manageable if you have a clear track, but trying to slide and weave through a field of vehicles kicking up dust is a struggle. Get ahead early. Compounding your troubles is an annoying spotter character that says how you were too slow on your last lap, despite being well ahead in first place, and that you should concentrate more when one of the AI drivers smashes into you. If only it were possible to fire the spotter. Landrush is a little barebones and difficult, but at least it does not overstay its welcome. If you enjoyed the car acrobatics in DiRT 3, then Joy Ride might be a decent time waster. Joy Ride is a freeform mode that was probably created when Ken Block infiltrated security at Codemasters and hid under a desk muttering to a designer before he was found and escorted off the premises. It takes you back to the open industrial location featured in the tutorials. The area is cordoned off with barriers to create ad-hoc race tracks. You will compete in solo events where you smash blocks and complete time trials. Smashing blocks is freeform and requires taking the ideal route and sliding through blocks efficiently. Time trials are more like a race, with floating pickups that will either subtract or add time to the clock; they have multiple routes and several laps, so it becomes a case of remembering which time-reducing pickups have been collected and taking the other route. These two modes emphasize car control although they aren’t linked to the career. Joy Ride is worth trying, even just to take a break from the other more laborious modes. Apart from Joy Ride, all career disciplines are playable in multiplayer. Jam Sessions allow players to set up their own championships, and drivers will earn money and reputation that is shared with the career. The collisions in Rallycross and Landrush seemed to work fairly well, but being rammed off the road can make it hard to finish on the podium due to the short races. The online matchmaking is split between the two handling types—gamer and simulation—which is a necessary evil. Most appear to be using the more challenging handling type, which is great for the rally discipline. Unlike DiRT Rally, you can actually compete real-time against other players in rally events. Unfortunately there are no ghost cars or staggered starts, but at least the constantly-updated progress bar provides adequate tension. Rally Pro Tour is a ranked version of rally. It cycles through different vehicle classes every day and drivers will be promoted or demoted depending on their performance against matched opponents. This mode had a few bugs though, crashing the game when using spectator mode and providing me with a much faster vehicle than the other players. As with DIRT Rally, there are numerous daily, weekly, and monthly rally events. Unlike the rest of the multiplayer, these are purely against the clock. Each stage can only be tried once. The weekly and monthly events consist of more stages, but they don't have to be completed all at once. Monetary rewards are based on where you place on the online leaderboards. Some challenges require ownership of a specific vehicle, so expanding your garage is a worthy investment in the career and multiplayer realms. The multiplayer offering is much better than DiRT Rally, so whether you want to crash into others, compete directly in rally, or merely race against the clock, DiRT 4 provides a way. DIRT 4 is the ideal rally simulation with genuine unpredictability and lasting value. It is not a sequel to the energetic DiRT 3; it's a refinement of DIRT Rally with a few throwbacks to the older games in the series. It is mostly a strenuous rally simulation that rewards time and effort, with a near endless number of procedurally generated rally stages. The mixed assemblage of hairpins, hills, and hazards produces a few similar corners, but it's still a great addition over a limited number of unchanging tracks. The career progression is excellent with a small amount of team management added for good measure. The non-rally modes, Landrush and Rallycross, pale in comparison although are not without their moments. Joy Ride might be Ken Block screaming at Codemasters to let him back inside, but it ultimately proves to be a minor distraction. The multiplayer side of things is quite good, and the online challenges will keep you coming back for more. Taking into account all of these pieces, DiRT 4 is a superior rally game to DIRT Rally and its additional content is marginally stronger. With the success of DiRT 4, Codemasters will likely continue pushing rally to the fore, and I am excited to see what road lies ahead. EGO engine is starting to age a little bit, but cars look great and the overall visuals are nice. Certain areas look awesome, like Wales after it rains. The jumbled track pieces have no seams but needed a fraction more variety. Rally driving is excellent, requiring heavy concentration and offering adequate rewards. The procedural stages are perfect for rally driving. The career is quite long but progression is one of the best from Codemasters with basic team management, car purchasing and sponsor agreements. Unfortunately Rallycross is stretched thin. Competitive rally returns, although without staggered starts or ghost cars. There are lots of regular community events that use online leaderboards. Performs quite well most of the time. Load times are fairly short. A few crashes when using spectator mode in rallies. Uploading after each race did occasionally take a long time. DiRT 4 is a better rally game than DiRT Rally because it has improved career progression, better multiplayer, randomized rally routes, and some casual-friendly options. The procedurally generated rally stages are a game changer and help to provide lasting value. "Refined, randomized, ruthless, and essentially DiRT Rally 2.0"
DiRT 4 is ranked #357 out of 1434 total reviewed games. It is ranked #22 out of 174 games reviewed in 2017.